OnEMI Technology Solutions Pvt. Ltd, which runs lending startup Kissht, has raised $2 million (around Rs 13 crore) from venture capital firm Endiya Partners and early-stage investor Ventureast, a financial daily reported on Thursday. The company, which has raised $2.7 million so far, is also in talks for raising a Series B round, a report in The Economic Times said. Founded in 2015 by Krishnan Vishwanathan, Kissht provides collateral-free loans for products such as mobiles, laptops, jewellery, furniture and electronic gadgets. Customers can repay through equated monthly instalments (EMIs), using the Kissht EMI card. The startup currently lends through a captive non-banking financial company (NBFC). “Going forward, we will be a data and analytics company enabling consumers to get loans from banks and NBFCs working with us as lending partners, “ Vishwanathan told the newspaper. Sateesh Andra, managing director, Endiya Partners, said the number of credit cards in India was a paltry 30 million, which was a huge opportunity for consumer-lending companies, the report added. Email queries sent by VCCircle to Kissht, Endiya Partners and Ventureast didn't elicit an immediate response. The fin-tech space in India has been hotting up. A recent VCCircle analysis shows that since the beginning of the year, at least 25 fin-tech startups have raised venture funding. And the inflows have been well-distributed across the broader fin-tech space, including digital wallets, online lending firms and payment gateway startups. 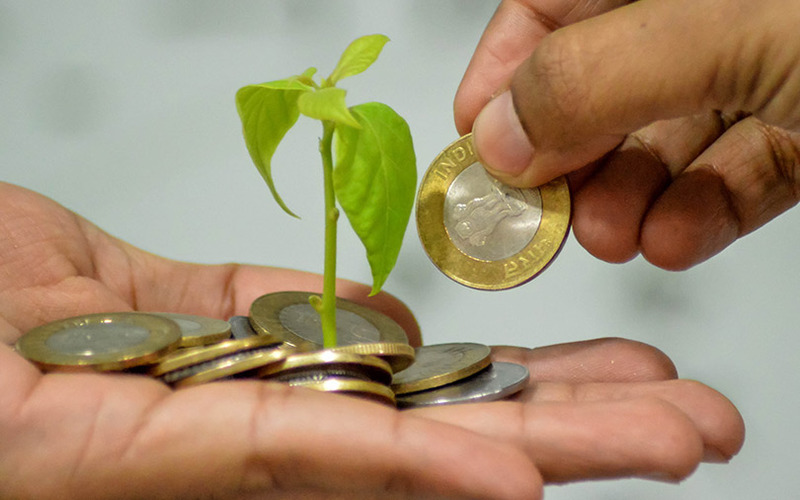 Last week, Mumbai-based personal finance startup Fincash.com had raised $100,000 (Rs 64 lakh) in its first funding round from a clutch of individual investors. Earlier this month, Bengaluru-based MWYN Tech Pvt. Ltd, which runs fin-tech startup MoneyTap, raised $12.3 million (around Rs 79 crore) led by Sequoia India. Online peer-to-peer lending platform LoanMeet had raised seed funding from a clutch of investors, including Chinese entrepreneur-turned-investors Cao Yibin and Huang Wei, along with KrazyBee.com co-founder and CEO Madhusudan E.